Every two or three months Google adds new cities to Street View. This time Google included eight new cities from the US: Dallas, Detroit, Indianapolis, Fort Worth, Boston, Minneapolis, St. Paul, and Providence (all of them are in the top 150 US cities by population). The total number of cities that have the street view imagery is now 23. According to Boston.com, "Google is also introducing a mashup service today that will enable Internet users to import Street View panoramas from particular streets or neighborhoods to their own websites or blogs. The service is intended to make it easier for people to use Street View to recommend sights, locate coffee shops, or design cyber-walking tours." More likely, Google will just extend the embedding feature to Street View imagery. 1) Look 35W Bridge in Minneapolis, it is still there, not collapsed. 2) I think here is the list of future cities with Street view. That link shows the cities that have street view or traffic data (and shows current data). Embedding indeed works now for Street Views. 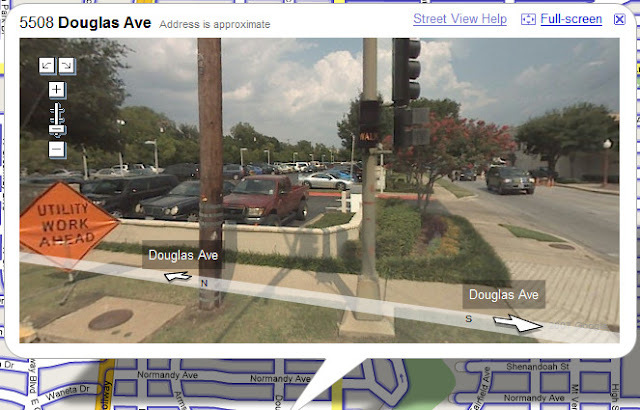 Just use the existing embedding feature while a street view is open. You only get to see the street view itself, not the underlying map. Not to nit-pick but you're wrong about that, Michael. The street says Seaport Ln but the street you are seeing with the cars on it is Seaport Boulevard (Or technically Northern Av I guess). Basically, you gotta go one more click towards the harbor before you can turn right or left onto the street with all the cars. 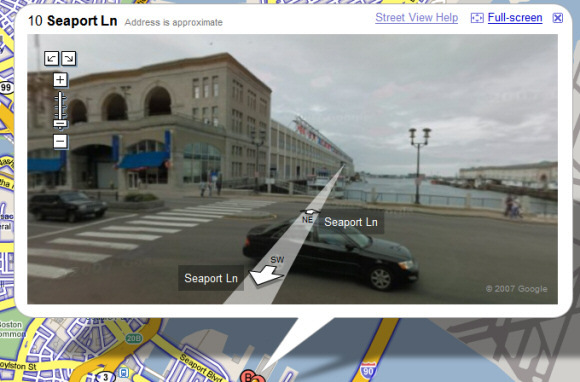 And I'm not expert on a waterfront, I just crept around on streetview to figure it out. 'Cuz we can do that now! Very cool...I was expecting to see my city, Nashville, on there as I spotted a Google car with the funny looking roof mount driving down the road the other day. You can read more about my sighting here. Yes, the 35W bridge portion is indeed before the collapse. However, other nearby areas such as I94 and Hwy 280 were taken in the first 2 weeks after the collapse. I drove those roads every day. Right after the collapse, they closed some intersections and some lanes. Then, a few weeks later, they actually laid new road and repainted the lines. The images on there right now are in that 2-week window. I find that interesting.